I have 2 kids age 2 & 3 we had been taking them to smile land and so glad we switched both kids went one week after having been told they needed work done by another dentist. When I showed up I expected my toddlers to be frightened, but the staff here made all the difference. Both kids left calm with all their dental work done without any problems. 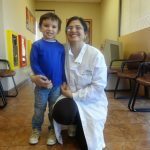 My son was petrified by his last dentist, but somehow they calmly walked him through each step I am so glad I found this place and would recommend anyone to go here! Best place in town for kids. Staff and environment is completely awesome couldn't ask for better!!!! We have been coming here for over 8 years. Love it! They gave the kids side and adult side and the employees here have been here as long as we have been coming here and they know their patients. The way i can keep an eye on them when am not in the room, Especially the way the staff works as a team and take extra care of my keeps. Keep up the good work. Thanks a lot for my family ``Healthy Smile``. This is my family dentist, and we love it!! My 2YO daughter really likes the RDAs in this office. They are very friendly and help make my daughter very comfortable when she's scared about visiting the dentist. She loves the little toys and balloons they give her for being a good girl! 🙂 My husband also recently had dental work here. He was called back very quickly and everything went smoothly! I also LOVE the front office staff, as well! VERY friendly and great to work with! I came to this office after I was recommended by a couple of friends. The front office was extremely helpful, and the back office staff was great with my kids. Loved Dr. Parti, she was very nice! The girls and the doctor were all very nice and you’re doing great !! Choose this place because of the existing reviews and very happy I did. They are friendly and is all very kid friendly in the lobby and inside each room with toys, movies and at the end of their visit my daughter got a balloon with a goodie bag (toothbrush, floss, sticker) so happy!!!! I my experience with healthy smiles has been a good experience my children have been attending healthy smiles for the past years they started here in 2009 now they're still here 2014 I appreciate healthy smiles working and keeping my children's teeth up to date thank you. I've been coming here since in was little I went in there today I want to say something about the girl who cleaned my teeth she did a good job I enjoy her cleaning my teeth she is the best and the office ladies are nice and Dr parti is a really good with me and very polite I would highly recommend people to go here. I highly recommend this place... Dr.Parti is so good with kids. She really has the patience to deal with them. Her staff is just as good as her and they really do take the time to make sure all is done properly. 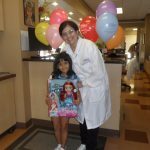 She's an amazing dentist and she has an amazing team. 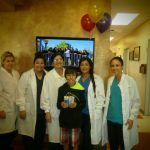 Healthy Smiles: Great place, Dr. Parti is the best. The staff was very helpful in accommodating us at a very short notice. 5 Stars+! I wouldn't take my kids anywhere else! The. 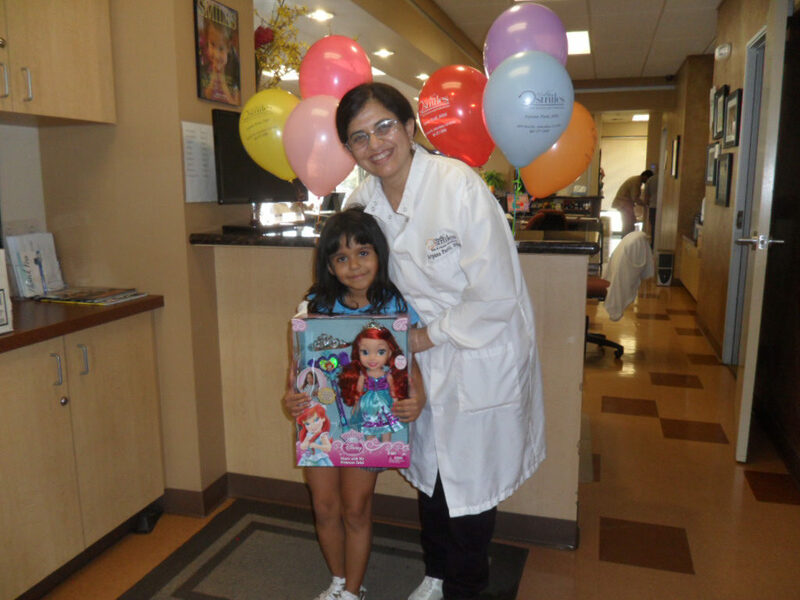 Is super friendly , well organized and they do an excellent job on my children's teeth. I definitely recommend this office. dr parti is a good professional dentist. i recommend this office evrey time my daughter has a check up she gets excited to go. i like how dr parti calms her down when she gets scared. she has treated my daughter nicely for a few years. this office just cant get any better. The doctor and all employees are kind and considerate; they know how to talk to the parents. Friendly Staff, nice clean environment, games to keep the children busy during their wait. I love Dr. Parti and the staff is all so kind. The office is beautiful and the kids enjoy coming. Very patient and caring staff! I loved being able to watch from the monitor since I cannot be in the room. Best place for my girls everyone us nice and excellent service and you don't wait hours to be seen. 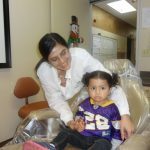 Faith & Richie has been coming here for about 6yrs now and the staff here is so awesome with the kids.I refer Healthy Smiles to everyone Faith and Richie really loves you they feel safe and comfortable there thanks to the staff. They make your children feel at ease and have so much for them to do in the waiting room. I also love that there is the option of walking in in the morning if my son has a toothache he doesn't have to suffer. Staff is amazing and so sweet! I have been taking my daughters here since my 13 year old had teeth! I will never take my daughters anyplace else! I'm glad I switched over to Healthy Smiles Kid's. Knowing that my friend Alyssa works there is very comforting to me. Everybody is very friendly and helpful. I love that though I can see my children on a monitor while they are having work done. This is my family dentist, and we love it!! Dr. Parti is very nice and does great work! My 2YO daughter really likes the RDAs in this office. They are very friendly and help make my daughter very comfortable. 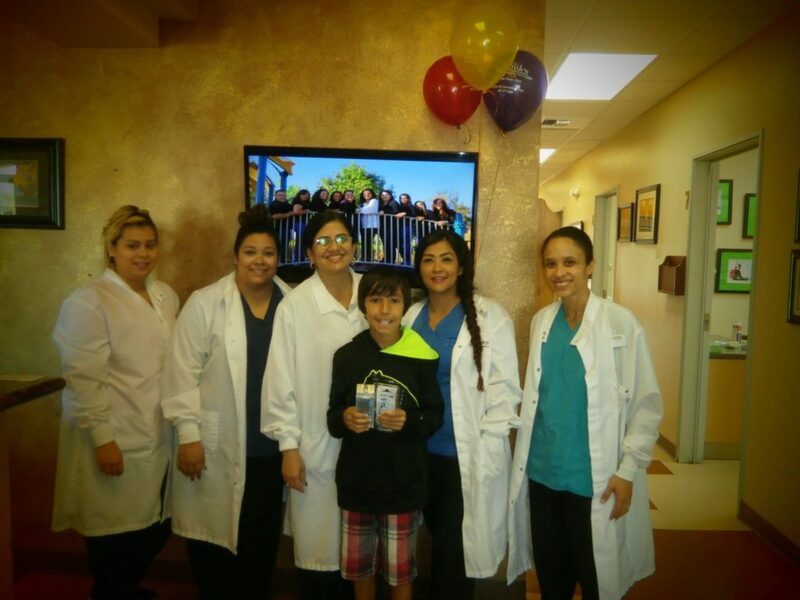 I have taken my son to another dentistry and got nothing but a run around and finally a year and a half later i finally found healthy smiles and within 4 days they had completey fixed his teeth. I HIGHLY RECCOMEND ANYBODY TAKE THEIR CHILDREN THERE. DO NOT WAIST YOUR TIME ELSE WHERE. The staff was very friendly and comforting. amanda. I liked so much the way Maria talked down my son and explained to him everything that was happening. She was truly awesome! I was referred to this office by my older sister and I absolutely love it. The staff is professional and friendly. Anytime I have had questions or paperwork filled out they are kind, quick, and efficient. My daughter started going here and she was scared of the dentist, but now she is at ease and calm. She no longer cries hysterically when she knows she has to go to the dentist. My son loves the video game consoles. They have always been functional when we have visited. My last appointment was today and we were out in 1 hour and that is with a procedure done. Great office! I highly recommend Dr. Parti! I've been taking my 5 year old daughter here for a while now. She loves it. Healthy Smiles always makes her feel welcome. She has never been frightened or scared to go because this place has proven to her that they will handle her with care. I will continue to take her here. 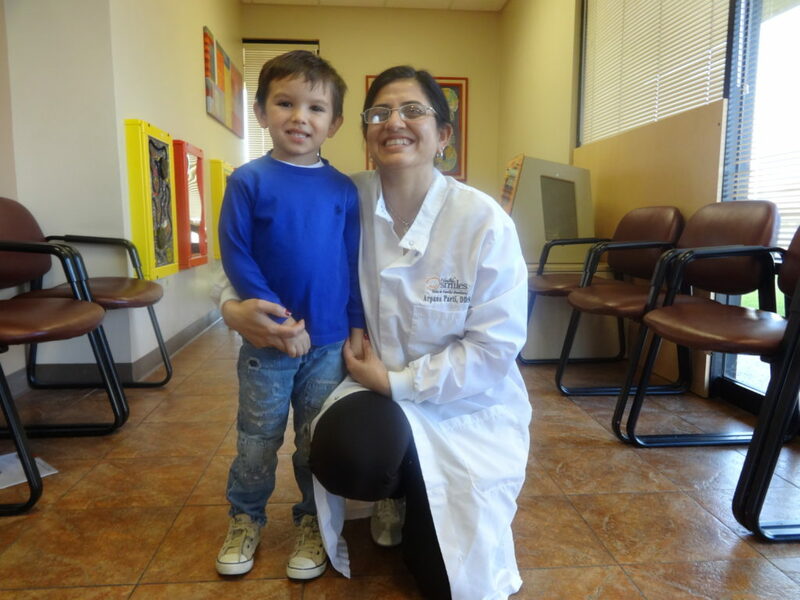 I have been bringing my children to healthy smiles now about 6 year's. My kids love it there, the staff are very friendly to both the children and the parents. They try very hard to make your child's visit as stress free as possible. We would definitely recommend healthy smiles to are friends and family, Dr. Parti and staff are wonderful . Love this place! 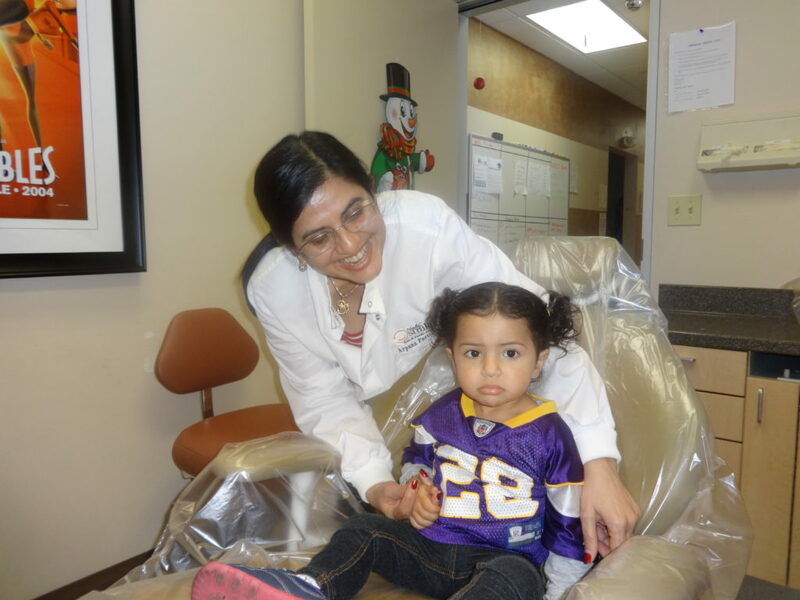 Dr Parti and her staff are awesome! Highly recommend them for your little ones. My kids started here as little kids and are now teens and they're comfortable coming here. It was super packed and we had to wait a couple times but the dentist was super nice and my son had an amazing experience there definitely going back good dentist worth the wait! Everyone here is super nice and really try to make you feel comfortable. All my children have been here and didn't leave with a fear of the dentist which says a lot! I love the staff, and my kids love them too! They make it a fun environment for the kids to be in as well as the parents. You guys do a fantastic job! Super friendly staff even though my boy is terrified of the procedures. They always smile and joke around with him and explain thoroughly what is being performed on him. Really recommend you bring your little ones here. Friendly comfortable staff for my child. No long wait, and everyone is helpful and kind. I was very pleased with my daughters visit today. The staff was very nice and communicated well. Very friendly and patient with the children. 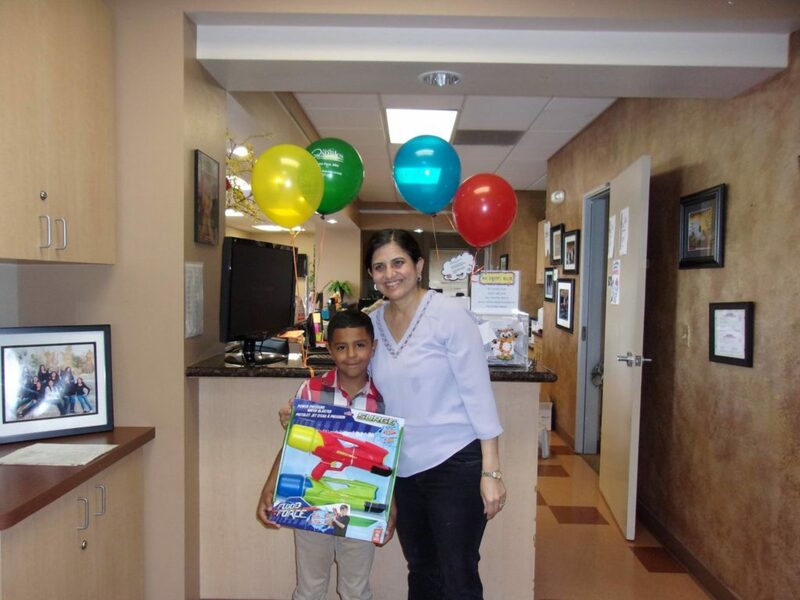 Dr. Arpana Parti does a great job with my boys! Everything went very smooth. My four year old didn't even cry while getting work done! That's amazing! 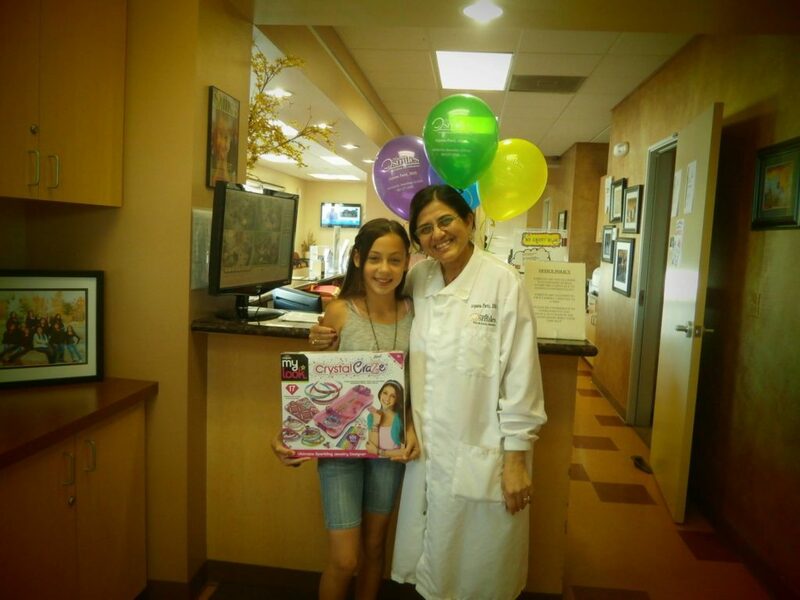 Love Healthy Smiles Dr. Parti is awesome with my girls!!! The staff is awesome as well!!! Glad I came here!